resno County prosecutors dropped murder charges Thursday against a man who spent nine years in jail fighting a case involving a pair of slayings he didn't commit. It may be the first case to change under a new state law that redefines a lesser-known subset of murder charges brought under the "felony murder rule." Neko Wilson initially faced the death penalty and was still expecting life in prison without parole if he was found guilty for his involvement in a 2009 marijuana-related robbery in Fresno County that ended with the brutal slaying of a couple in their home. Wilson was sitting in his truck near the house where Sandra and Gary De Bartolo's throats were slit. Prosecutors dismissed murder counts against Wilson Thursday and offered him credit for time served for robbery charges — as well as a gun enhancement, gun and marijuana possession charges and an unrelated misdemeanor battery charge. Wilson was released in the evening after serving over nine years in jail, which is the maximum sentence for his remaining charges. The prosecution at first alleged that Wilson planned the robbery and was therefore eligible to be charged under the felony murder rule, which previously held accomplices culpable for first-degree murder in killings that occurred during the course of a felony, even if the defendant never intended to kill anyone. Now, under Senate Bill 1437, which Gov. Jerry Brown signed into law on Sept. 30, defendants can only be found guilty of first-degree murder if they killed someone, if they intentionally assisted the killer or if they were a major participant in a dangerous crime and acted with "reckless indifference to human life." The law goes into effect on Jan. 1, but it also applies retroactively. 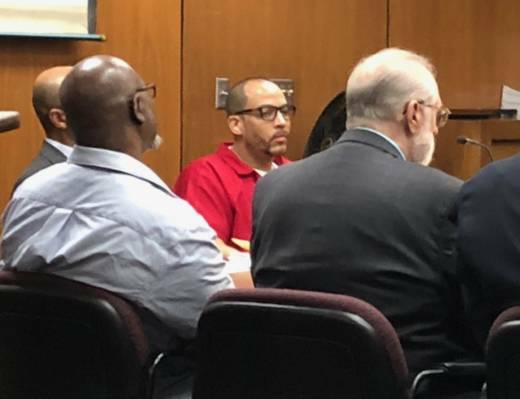 riends and family of Neko Wilson, as well as family members of the De Bartolos, sat on opposite sides of a downtown Fresno courtroom on Thursday, waiting and listening intently to Judge John Vogt’s decision. “Do I have any legal basis to further detain him?” Vogt asked. “After all this time this case has been before me, this is a rather difficult resolution for this court to accept, but I understand with the nature of the law being changed, that speaks for itself." Vogt then granted the prosecution's motion to dismiss the murder charges and ordered Wilson released by the end of the day. After the hearing, Neko Wilson's brother Jacque Wilson, a San Francisco deputy public defender who is also his brother's attorney, became emotional while talking about the toll the case has taken on his family. Jacque Wilson was actively involved in getting the bill passed. “Fortunately for my family and many other families like mine, SB 1437 provides hope," he said. "The people that we are talking about, like my brother, Neko — he's not a killer." 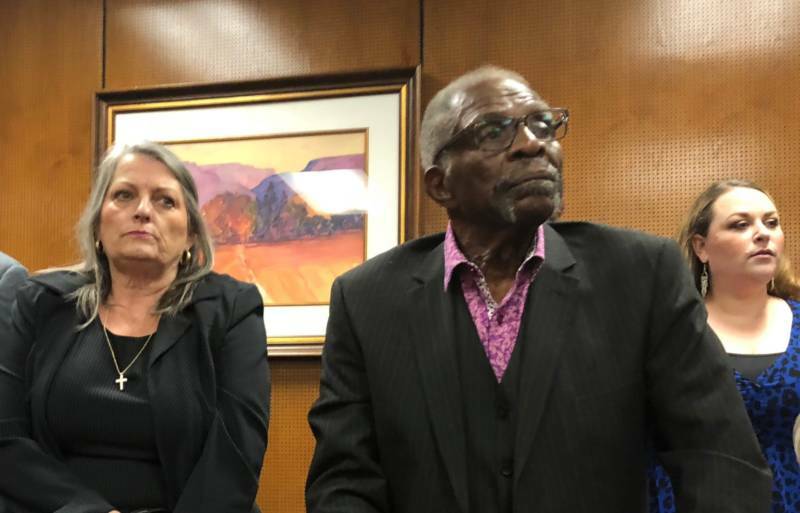 Neko Wilson’s father, aunt, uncle, grandfather and girlfriend were also present at the hearing and stood up in court during the proceedings. “I’m the happiest guy on the planet,” Neko Wilson's father Mack Wilson said after the hearing. 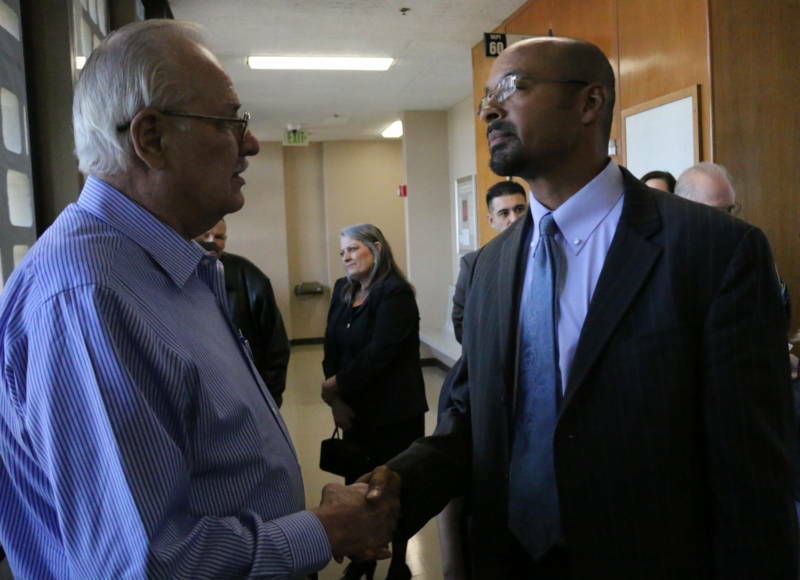 He said he often drove four hours round trip to visit his son who has been in the Fresno County Jail for nine years. For his son, the experience was like "being in hell," he said. amily members of the De Bartolos who attended the hearing declined to talk on the record, but Senior Deputy District Attorney William Lacy said he spoke with them after the ruling. “They're disappointed obviously, but they understand that this is the law in California," Lacy said. "The governor signed this law. And, you know, we don't make the law, we just we follow the law." The Fresno County District Attorney's Office is already reviewing other cases that could be subject to similar changes under the new law. Because the new state law is retroactive, people in prison who believe their case would have a different outcome can petition for resentencing beginning next year. Lacy said the new legislation will “absolutely” have an impact on public safety. Lara Bazelon, associate professor of law at the University of San Francisco, disagrees.